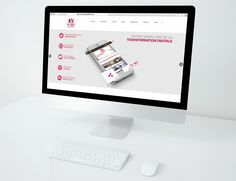 Since 2010, V3D Events accompanies their customers through the digital transformation of their work. In order to effectively help, V3D Events offers numerous articles on various themes to give advice regarding virtual Events. Additionally, to stay informed of the latest news from this pole/branch, you are able to sign up for our monthly Newsletter. You may also find all of our articles on our blog. V3D Events actively prepares for the web 3.0 by democratizing online events. To mark the launch of the 4th version (HTML 5) of the platform software, announced on November 2nd, the V3D Events pole/branch will reveal an innovative tool, that will revolutionize BtoBtoC relations on the internet. Anything may happen such as, a cancelled event or bad weather, however solutions exist to change a physical event into a digital one to insure that the show goes on. 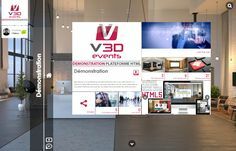 V3D Events plays an acting work of the digital transformation in the event planning field by offering a virtual event platform.